The Physics Groupie Blog: End of the World in 2012, Get Off Now? One of the most valuable things about being in the Science Lifestyle is that you tend to be insulated from being bamboozled by incredible, unscientific claims appearing in the news, tabloids, e-mail spam, etc. A great example of this is the prediction that the world will end on December 21, 2012 based on the Mayan calendar. Doomsayers observe that the Mayan calendar “runs out” in 2012. Therefore we are to believe that these ancient people, whose civilization ran its course from 300 A.D. to 900 A.D., without the Calculus, Copernican heliocentric model, general relativity, or any other significant scientific apparatus to form a basis of that conclusion, were somehow able to formulate this end-point for human existence. Fantastic! It is amazing that any rational person believes this wild prophecy. Even the current day Mayans think it is ridiculous, and quite frankly they are tired of Westerners asking them about it. And yet people are scared. Why? It is because most people can’t employ the scientific method to discern for themselves the truth value of these kinds of inaccuracies. Heck, all someone has to do is use Google to zero in on rational explanations for mysterious claims, but I digress. Internet doomsday rumors terrify the timid, impressionable public who don’t have the intellectual toolset to make sense of the commonsense realities of nature. I hate to sound condescending, but I object when people can’t THINK for themselves. One of the factoids behind the prediction is a rare astronomical alignment that happens roughly every 25,800 years – when the Sun lines up with the center of the Milky Way galaxy on a winter solstice. 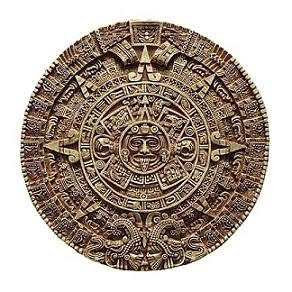 But the Mayans never said the world is going to end, and their calendar actually goes way beyond 2012 if one looks closely. Apocalypse is a very Western, Christian phenomenon, so maybe all the Western myths are exhausted and new ones required. It doesn’t help folks to shape rational perspectives when Hollywood releases movies that support the myths. Next month the movie “2012” opens in cinemas, featuring earthquakes, meteor showers, and a tsunami dumping an aircraft carrier on top of the White House. Yikes! I’m glad that all you Science Lifestylers out there can move past all this mental clutter and concentrate on something productive. Fear not 2012! Really? People really believe this stuff? I'm glad I read this. I am quite naive and to be honest this 2012 stuff has actually affected me and constantly has me thinking and fearing the date. I have a baby on the way and all I can think is about it. It's scary and now I'm mad that i'm here letting affect me. I really want to be worry free, it's a horrible feeling..